The state of Sikkim presents an altogether different experience for a traveller to India. Though this hill state is tiny in size, the variety it offers makes up for one of the loveliest holidays. Pristine alpine forests, snow-clad mountain peaks, picturesque landscape and Buddhist monasteries are some of the key highlights of North Sikkim. Plus, there are quaint villages where you can experience a wonderful tribal culture. This Himalayan kingdom is filled with eye-catching natural beauty, giving travellers an excellent opportunity to reconnect with nature - in its purest form. The Alpine North Sikkim Tour, designed by Max Holidays, is all you need to rediscover the real charm of the state of Sikkim. 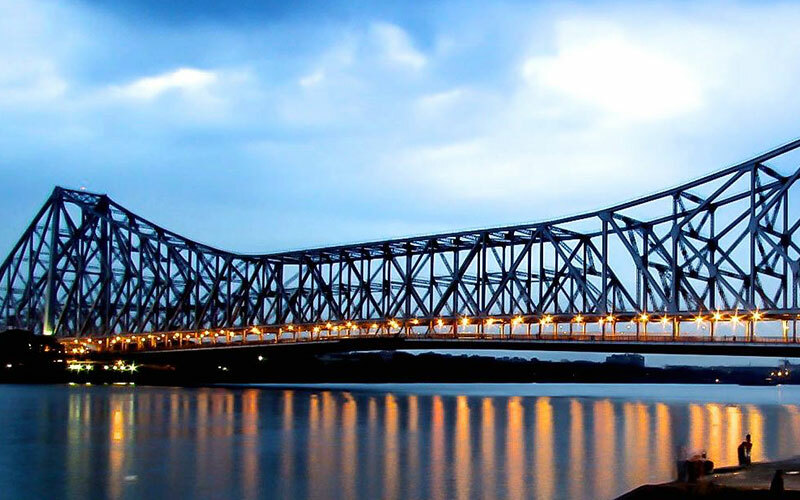 After your arrival in Kolkata (capital of West Bengal), catch your flight to Bagdogra. Enjoy an adventure-packed wildlife safari into the forests of the Jambughoda Wildlife Sanctuary. 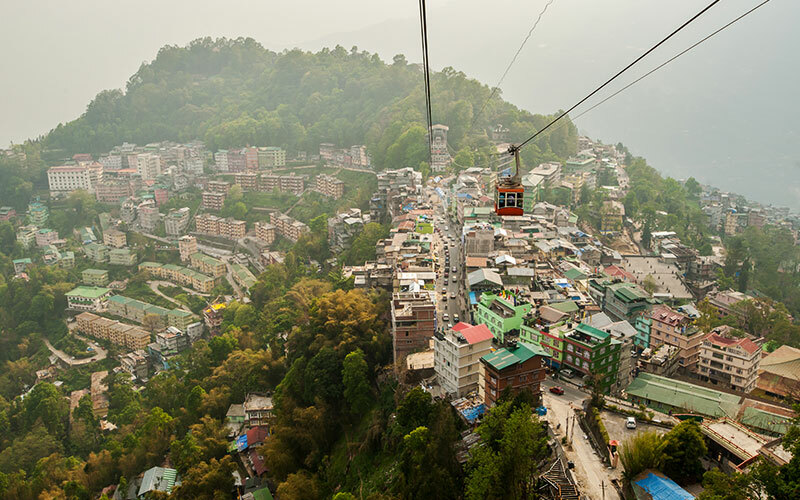 Your next halt is Gangtok, capital of Sikkim. The city is situated in the lap of the Shivalik Himalayas. Feast your eyes on the views of Mount Kangchenjunga and soak up the beauty of such famous monasteries as Tsuklakhang and Rumtek. After enjoying an excursion tour to the Changu Lake, get ready for another excursion to Tashi View Point, Hanuman Tok and Ganesh Tok. Next, drive to Mangan to visit and explore many more monasteries. Mangan and Chopta valleys are well-known for their heart-stirring natural beauty. Later, enjoy a visit to the Lachen Pass which is a real crowd-puller. Spend time in the tribal villages of Lachung and Yumthang before travelling back to Gangtok. 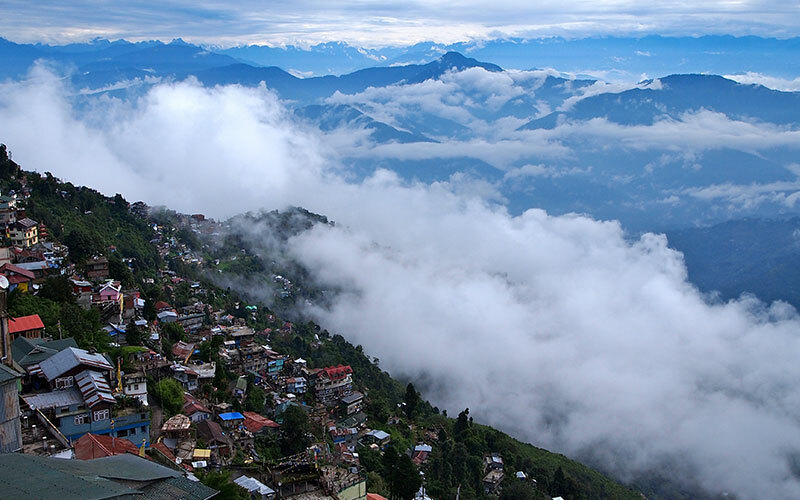 Next morning, get ready for a visit to Kalimpong, a popular hill station. Admire the beautiful surroundings of the place and have a fantastic time with your near and dear ones. Finally, reach Bagdogra for your returning flight to Kolkata. Later, we proceed for wildlife safari at Jambughoda wildlife sanctuary, famous for the Leopard – wild cats. Here while safari, we will also come across the species like Jackal, Sloth Bear, Four-horned antelopes, Wild Boar and Blue Bull. Early morning after breakfast get ready for the tour which will start with the capital city of Sikkim - Gangtok. Gangtok is situated in the Shivalik range of Eastern Himalayas. Gangtok enjoys the mild temperature through out the year. Enjoy the panoramic view of Kangchenjunga offered by Sikkim and feel the beauty which no other place can offer you. The route from Bagdogra to Gangtok offers you the scenic beauty, which on bet no other route can offer you. Visit the Tsuklakhang & Rumtek Monastery, both are the most attractive and best examples of Tibetan Monastic. Enjoy the best picturesque view on route to these sights. Overnight in the hotel at Gangtok. Today after breakfast take an excursion to Changu Lake – is also recognized as Tsomgo Lake – positioned at an elevation of 3,780 meters with an average deepness of 50 feet, in oval shape. The cool water of the lake is totally familiar with the picturesque beauty around. This lake is also affirmed as holy lake by nearby residing Hindus and Buddhist. The literal meaning of the name of the lake is ‘Source of the Lake’. The best thing about the lake is that it remains covered with the snow till April end which adds to its beauty. 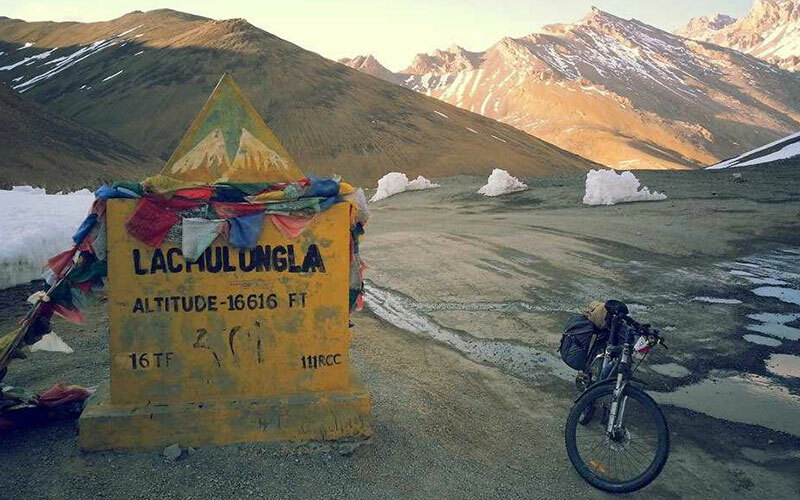 Further visit Nathula - is a panoramic pass on Indo Chinese’s boarder (the entry is permitted only on prior permission). Evening, we drive back to your hotel for overnight stay in Gangtok. After breakfast in the lap of nature get ready for the excursion tour of the Tashi View Point, Hanuman Tok and Ganesh Tok. The view point offers you the beautiful and soothing view of Mt. Kangchenjunga and Mt. Siniolchu. Get relax over the point from the hustle – bustle of city life. Enjoy some of the time and further drive for Hanuman Tok, which is just above the Ganesh Tok. Have an overview of whole Gangtok city from this place. Drive back to the hotel for overnight stay in Gangtok. Early morning after breakfast drive to the next destination of this heaven – Mangan, en- route visiting Kabi, Phensang and Phodong. These monasteries have a beautiful collection of ancient paintings and other antiques. These both monasteries hold annual festival which host many cultural and traditional programs, which is worth visiting during the time of the festival. Phodong Monastery - located in the Northern division of the state of Sikkim and one of the six most significant monasteries of Sikkim. Drive further and reach Mangan. Check into your hotel for an overnight stay in Mangan. Sikkim in itself is all together a beautiful spot, each and every place of Sikkim is a worth visiting place. Sikkim need not to have any specific destination or monument to attract tourists, its environment, climate and the bliss of nature has a strong magnetic hypnotism in it to bind tourist with it. Mangan & Chopta Valley are again the examples of nature god’s gift to Sikkim. Its greenery, waterfalls and unexplored snow capped mountain peaks will call you opening their hands to hug you. You cannot stop yourself to fall in love with the panoramic beauty of the place. Further after breakfast take a drive towards Chungthang – situated at the confluence of two rivers Lachen and Lachung Chu, which add to the scenic beauty of the place. Further head towards Thangu - Thangu valley located at an elevation of 13000 ft with many rivers crisscrossing. 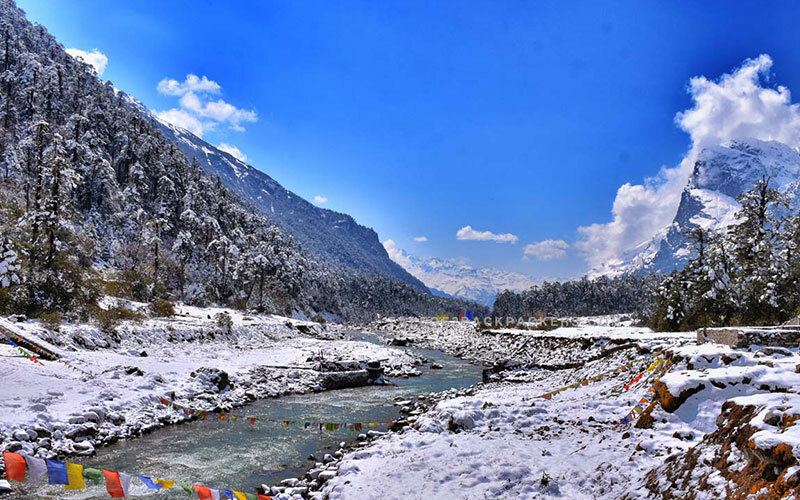 The valley houses the charming village of Thangu, with a scanty inhabitants comprising commonly of migrated Tibetans and Chopta Valley – your never ever dream will come true once you are in Chopta Valley. You can never imagine that in Chopta you will be walking over the river. Yes, it’s really true; most of the times, rivers in Chopta are frozen. You will feel like being in heaven once you are in Chopta. The valley where all objects are extra terrestrial charisma. Chopta Valley is a remote place that seems to be the attractive habitat of God. Drive further for Lachen. Check into hotel and get freshen up and have a soothing and relaxing overnight stay in Lachen. Lachen literally mean ‘the Big Pass’. Enjoy the beauty of this big pass and admire the place. Many precious shining stones beauty will get faded in front of the natural beauty of Sikkim. Sikkim has no other substitute of it in whole world. If it will be accessible at the time of the tour, visit Guru Dongmar Lake – highest lake in world. The lake presents the most imaginative picture added with awesome natural beauty. Enjoy the day at leisure in the scenic awesome surrounding and relax yourself in the panoramic climate. Overnight stay in Lachen. Early morning after breakfast drive to the next destination decorated with its natural environment. Arrive Lachung and check into hotel with the basic amenities. The hotels here are not luxury but the natural panoramic scenes add to the hotel as complimentary to you. Lachung - situated near the China boundary with Sikkim and at convergence of Lachung River. It is the trade route also between Tibet and Sikkim. It is positioned at an elevation of 8,600 ft. Lachung has its own importance of visiting it and it can not be ignored once you are on the North Sikkim Tour. Drive towards Lachen Valley, to explore the valley and visit Lachen Monastery. Enjoy the magnificent view of sunset in Lachung. Overnight stay in Lachung. Early morning after enjoying the picturesque view of sunrise in Lachung, have a leisurely breakfast. Later, excursion to last village to the North of Sikkim – Yumthang. The only line which will come to your mind at the time you will reach Yumthang is the heaven on earth and you will feel like dreaming. The lanes of orchids on the way will hypnotise you. Mushrooms will be their kissing your feet. Head to Yumthang flower valley in Sikkim. During the spring months, the area flourishes with flowers like Rhododendrons, Primulas, Poppies and Iris. It is the grazing ground for villagers in summer as they feed their cattle’s over here, en-route visiting the Singhba Rhododendron Sanctuary and hot water springs. Have a 10 minutes walk to visit hot water sulphur spring. Enjoy the beauty of the place to its fullest and drive back to Lachung. Overnight stay in Lachung. Early morning after breakfast drive for the small hill station – Kalimpong. Kalimpong is the mount place situated in Shivalik hills. It is famed for its learning association. Arrive Kalimpong and have a sightseeing tour of the place and visit Durpin Dara Hill - the uppermost point in Kalimpong famed for splendid views of the Kangchenjunga peak and enclosed by tea gardens. The view of Kalimpong from the hill is very magnificent and breathe taking. Also visit Gompa in Kalimpong. Lepcha Museum – displays the manuscripts and valuable aircrafts of the Lepchas. Enjoy the blossom at flower nursery. Visit Kali Temple and place the memories of flowing Teesta River deep in your heart. Evening enjoy the natural sight which will be a life time memory for you. Overnight stay at hotel in Kalimpong. Day is free at leisure to explore the unexplored and to admire the one you explore. Overnight stay in hotel at Kalimpong. Early morning, after breakfast end your tour of heaven with the departure from Kalimpong to Bagdogra. Further, board the flight from Bagdogra to Kolkata. Arrive Kolkata and connect your international flight for back home.